The Music City Center makes it a part of our mission to focus on environmental sustainability and the Music City Center is LEED Gold certified for New Construction by the U.S. Green Building Council. 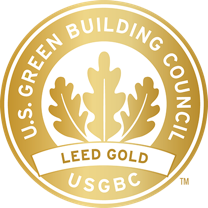 The LEED program, which stands for Leadership in Energy and Design, provides a third-party verification of green buildings. Features key to the building's LEED certification include a four-acre green roof, the 360,000 gallon rainwater collector, and an array of 845 solar panels. 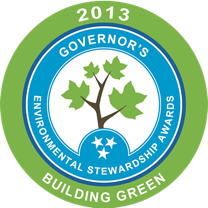 In June 2013 and June 2016, the Music City Center was named the winner of the Governor's Environmental Stewardship Award in the Building Green category. The Governor's Environmental Stewardship Award program recognizes exceptional actions that improve or protect our environment through initiatives not required by law and chose the Music City Center because of the various sustainable features such as our 211 kilowatt solar panel system, innovative storm water capture system, LED lighting and high-efficiency HVAC system. Click here to learn more about the sustainable features and practices at the Music City Center.